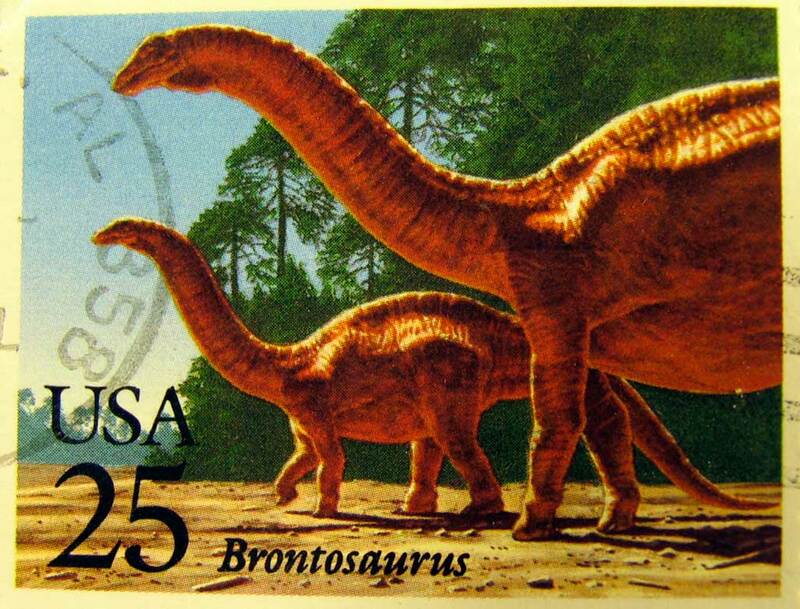 The 25 cent U.S. Postage stamp featuring the dinosaur Brontosaurus (aka Apatosaurus) issued in 1989. 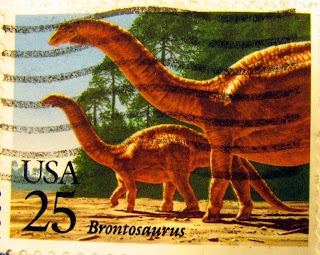 Read more about the controversy about this dinosaur's name on Wikipedia. 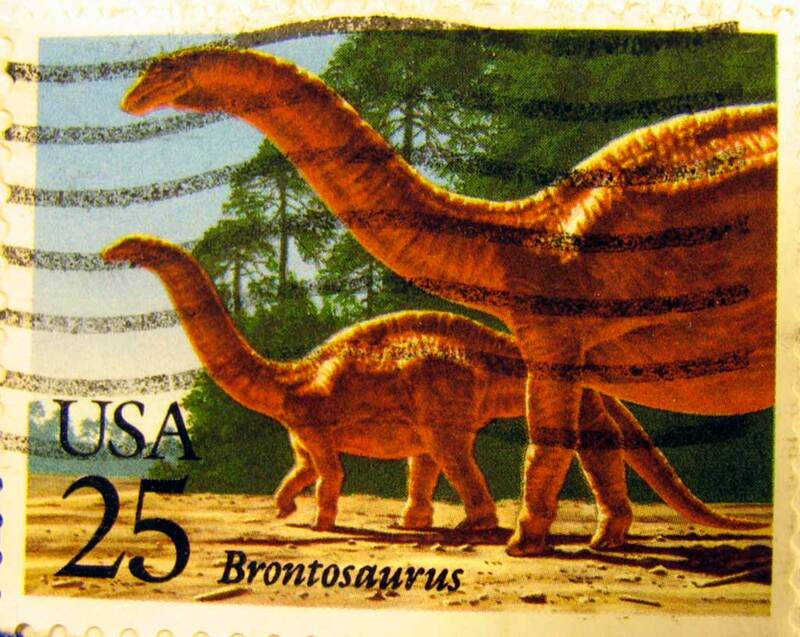 See previous posts featuring the other three stamps: Pteranodon, Tyrannosaurus, and Stegosaurus.